The beauty of the Screen Actors Guild Awards is that it is actors lauding actors in both motion pictures and television. Not only do they honour individual achievement but there’s also the prestigious ensemble honour which takes note that the work the actors do also is a collaborative art. And this year, SAG’s 2018 Life Achievement Award will be presented to Alan Alda, renowned for his work as an actor, writer, director, and producer. Tom Hanks will make the presentation. Best known for his work as Hawkeye Pierce in M*A*S*H, Alda, 82, also was nominated for an Academy Award for his role of Sen. Ralph Brewster in 2004’s The Aviator. This year’s nominees offer several surprises and snubs among its list of nominees. Make sure you check SBR’s online sports betting websites rating guide to help you choose the best place to wager on entertainment prop bets, including the SAG and Academy Awards. The Favourite was not nominated for Best Ensemble even though all three actresses, Olivia Colman, Emma Stone, and Rachel Weisz each received a nomination in the royal dark comedy. Roma considered the frontrunner to take home the Oscar as Best Picture was shut out from any awards – a rare occurrence. Nicole Kidman, who turned in strong performances in two films this season Destroyer and Boy Erased wasn’t recognised for either performance. Regina King, one of the most lauded actresses the last two-year was not nominated for her role in the heralded If Beale Street Could Talk. Bohemian Rhapsody, a movie that succeeded on the shoulders of one guy – Rami Malek – received a nomination for Best Ensemble. Obviously, there are others in this movie, but it never seemed like an ensemble performance other than everyone agreed to get out-of-the-way of Malek’s remarkable Freddie Mercury. Emily Blunt is a double nominee, getting the expected nod for her work in Mary Poppins Returns, but also getting nominated in the supporting category for A Quiet Place. No film has won this category without nominations in the acting categories but many, including the Los Angeles Times, thinks the acclaimed Marvel superhero movie is a strong contender and the eventual winner. Its stiffest competition is A Star is Born and the undeniable chemistry between Bradley Cooper and Lady Gaga, who are still stinging from coming up empty at the Golden Globes. In this case, it may come down quantity of cast and that tips the scales to Wakanda Forever. And if Black Panther does win the SAG award it may affect how well it does in the Best Picture category at the Academy Awards. Check out the complete list of nominees at www.sagawards.org. 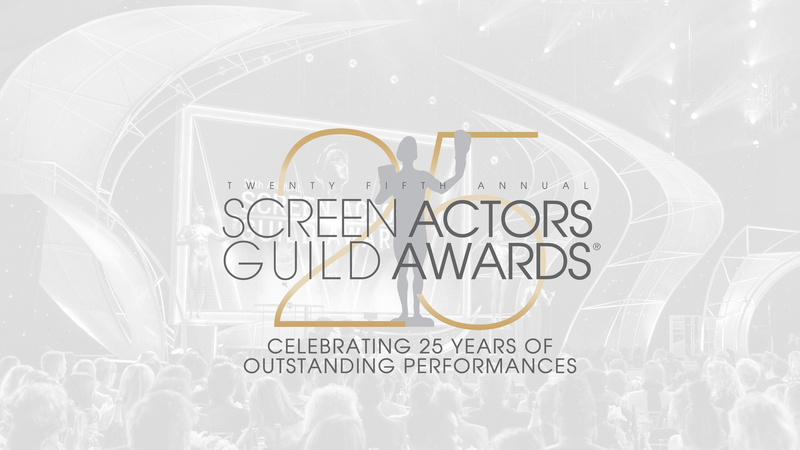 The 25th Annual SAG Awards air on both TBS and TNT on Jan. 27 at 8 p.m. ET.